Not a lot to say about this, other than it’s a lovely period illustration of an LD. Or possibly an LC. I have dreadful problems telling them apart tbh. Is there an easy way to spot the difference? 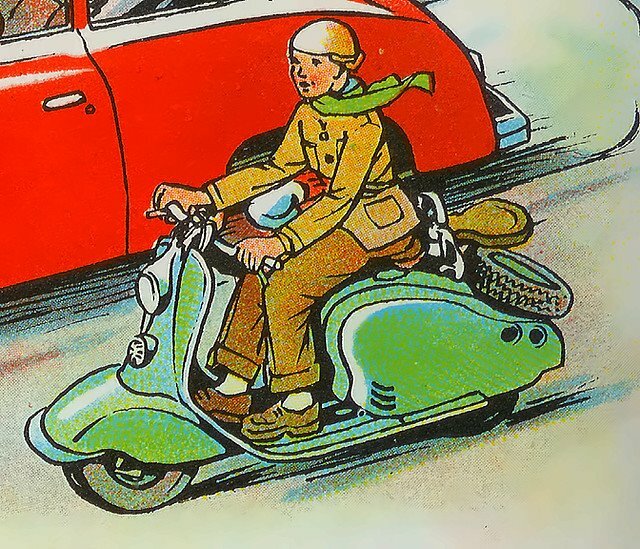 This entry was posted in Lambretta Imagery and tagged illustration, period, retro, vintage by crocodilejock. Bookmark the permalink.